Contest will see startup companies develop new ways to improve innovation in life sciences R&D. Through the Startup Challenge we aim to highlight the best new companies and put them in front of our members, as well as supporting the companies themselves in the continued development of their ideas. A newly launched business plan contest will ask startup companies from around the world to develop new ideas to lower the barriers to innovation in life sciences R&D. 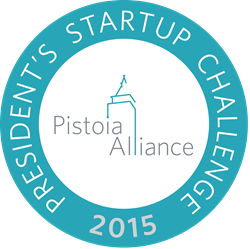 The Pistoia Alliance President’s Startup Challenge 2015 will see small and medium enterprises compete for up to two cash prizes of US$15,000 and a period of expert mentorship from a senior industry figure drawn from the Pistoia Alliance membership. The finalists for the competition, to be announced at the Pistoia Alliance US Conference in Philadelphia, PA, USA on October 13th 2015, will also receive mentorship support and a smaller cash prize of US$5,000 each as they develop their business plans ahead of final judging. Small businesses and their investors are a bellwether for the needs of industry, as their investment decisions are life-or-death for their companies and they must be sure that they are putting their efforts into the markets, products and services which are most likely to make a decent return. The contest allows startups to benefit from direct feedback and advice from major players in the sector that will help them to validate their plans, and in turn the Pistoia Alliance will be able to better align its projects with the innovative new technology of the future.